This equitable garnishment action arose after a judgment in a personal injury suit. On March 23, 2001, plaintiffs sued EZ Recovery and Charles Hensley in the Circuit Court of Greene County, Missouri for injuries resulting from a collision which injured Rodney Coen and killed his brother, Christopher Coen. Charles Hensley was operating the vehicle while repossessing cars for EZ Recovery. The truck driven by Charles Hensley was not owned by EZ Recovery, but was capable of towing another vehicle and had been used to repossess and/or tow vehicles for EZ Recovery in the past. The petitions in both cases included the following claims: 1) Charles Hensley, while in the course and scope of his employment with EZ Recovery, negligently operated the truck involved in the collision and 2) EZ Recovery negligently employed Charles Hensley. Progressive issued a commercial auto policy to EZ Recovery. The Progressive Policy provided EZ Recovery with $500,000 in coverage per accident. Progressive received notice of the Coens’ claims, but Progressive denied coverage and chose not to defend EZ Recovery in the lawsuit. 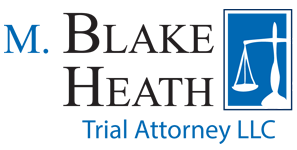 Plaintiffs filed a motion for summary judgment and Judge Miles Sweeney of the Circuit Court of Greene County, Missouri entered judgments for Plaintiffs and against EZ Recovery. After the judgment was entered, the Plaintiffs filed an equitable garnishment action in the Circuit Court of Jackson County, Missouri against Progressive arguing Progressive’s policy did cover the accident. The parties filed cross motions for summary judgment asking the court to decide whether Progressive’s policy covered the accident. On August 25, 2009, Judge Stephen Nixon granted the Plaintiffs’ motion for summary judgment and found that Progressive’s policy did cover the accident. The settlement for $250,000 followed this favorable ruling.